Directed by Danny Garcia and produced by Chip Baker Films, Stiv: No Compromise, No Regrets, the long-awaited documentary on legendary Dead Boys and The Lords of the New Church frontman Stiv Bators, is finally hitting the big screen. Garcia has already earned some punk cred with his films on Johnny Thunders (Looking for Johnny), the Clash (The Rise and Fall of the Clash), and Sid Vicious and Nancy Spungen (Sad Vacation) and this feature on Stiv Bators only solidifies his love of all things punk. What’s more, his ability as a filmmaker is further proven in this 85 minute documentary that celebrates the incomparable performers life. The film opens with Bators’ childhood, earliest bands, and the influence Iggy Pop and Alice Cooper had on the impressionable youth. After some promising, but unsuccessful performances with his early bands, Bators decided to relocated to Cleveland, Ohio where he would soon form the Dead Boys with Cheetah Chrome, Jimmy Zero, Jeff Magnum, and Johnny Blitz. It took no time for the Dead Boys to prove their mettle among the first wave of American punk bands. Of course, Bators’ wild, unhinged performances left crowds both dumbfounded and devoted. When the Dead Boys fizzled out following some internal strife and record label meddling, Bators would go on to make a solo album (Disconnected) and collaborate with members of Sham 69 to produce one album as The Wanderers. But, it wasn’t until he formed The Lords of the New Church (with whom he recorded three studio albums and an EP) that he found his footing again and earned critical acclaim and a wider fanbase. The film is full of fantastic footage of all of Bators’ bands, whether live footage or behind-the-scenes. Of course, it’s the live footage that is most delightful. Doubtless, without this the viewer is left to their imagination or trust of the various narrators. But, to see Stiv in total mad-man mode at CBGB’s (or anywhere, really) adds incalculable value to the experience of the film. Collectively, we may have become jaded by stories of rock singer antics and dynamics, but seeing is believing – and it’s this footage that brings the film to life. The film features exclusive interviews and archival footage of numerous punk luminaries and bandmates, including Joey Ramone, Slim Jim Phantom (Stray Cats), Jimmy Zero (Dead Boys), Nick Turner and Dave Tregunna (Sham 69), Frank Secich (Blue Ash, Stiv Bators Band, Deadbeat Poets), Cynthia Ross (B-Girls), and more. While Cheetah Chrome is conspicuously absent, it’s important to point out that this is a film about Stiv, not the Dead Boys. As many featured in the film reminisce on Stiv’s prankster personality, that is noted as both charming and at times infuriating, its hard not to feel each individuals admiration. Also, after hearing these stories it’s not shocking to learn that Stiv recommended his friends and family snort his ashes after his death. Believing he had done so many drugs in his life that his ashes would get everyone high, his friends honored his wishes. You’ll have to see the film to learn the results. All students of punk history need to see this film. If you’ve ever wondered who is the ultimate punk frontman, Stiv: No Compromise, No Regrets has your answer. The film does an excellent job of bringing to life Stiv’s personality, passion, and unequaled presence both onstage and off. 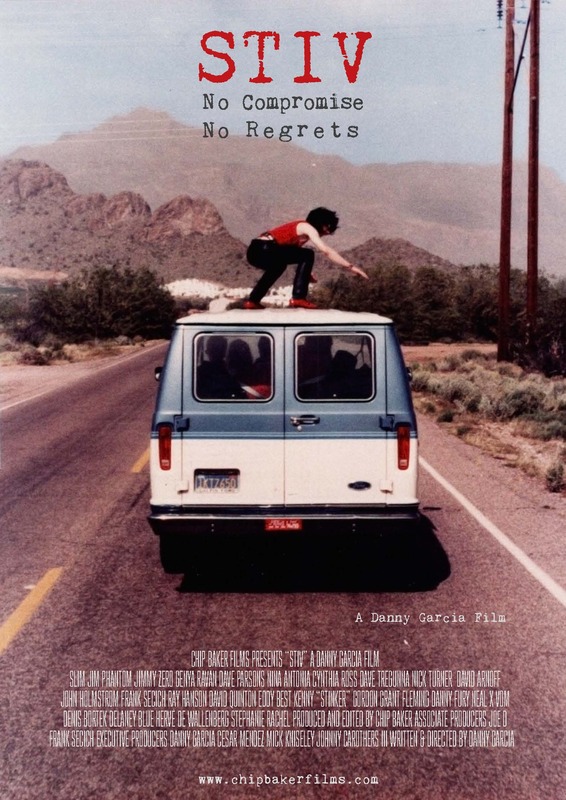 Stiv – No Compromise, No Regrets premieres in Dallas at the historic Texas Theater (231 W. Jefferson Blvd, Dallas, TX 75208) on Sunday March 24th @ 7:30pm. Get tickets here.